If you happen to be a regular reader of our blog (we thank you for readership), then you are aware that we have covered the American opioid addiction epidemic in spades over the years. The crisis is without a doubt unlike anything that lawmakers and health officials have seen before, both regarding its scope and deadly wake it has left behind. Across the country, around 100 Americans suffer premature death as a result of overdose, many more survive such an event and millions more are caught in the maelstrom of opioid addiction. Much of our coverage of the deadly epidemic has focused on parts of the country which have been hit severely by the scourge of prescription opioid and heroin abuse. A combination of variables in certain areas created perfect conditions for staggering abuse to grow uncontrollably. Poverty and rural settings are two contributing factors to heightened addiction rates and few resources to offer adequate addiction treatment services. Left unchecked, the debilitating mental illness has but one eventuality—progression. And the longer opioid use disorder goes untreated, the greater the likelihood of a fatal overdose. Rural New England, Appalachia, and the Midwest region are often associated with being impacted the most by the epidemic; the occurrence which has been reflected in a multitude of posts on this blog. But, it is important to remember that no corner of America has gone untouched by the pernicious hand of opioid narcotics; and we can’t forget that any amount of overdose deaths in an area needs to be addressed to affect change. 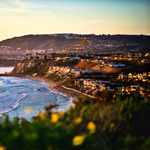 At Hope by The Sea located in sunny Orange County, California, we have treated people for opioid addiction from across the country and beyond. We have also helped a significant number of people residing in the 'So Cal' area, as well. The vast reach of opioid abuse does not pass over even the most affluent of areas, such as Orange County. Men were twice as likely as women to die from an overdose and more than three-fourths of the premature death victims were white, according to the article. Over three-fourths of overdose deaths were accidental, 66.8 percent involving opioids of any kind (including heroin). However, half of the overdose deaths in the county were linked to prescription opioids. If you are one of the thousands of Southern Californians struggling with opioid use disorder, please contact us today. As is evident by the above-mentioned report, people are dying and most overdoses are accidental. Often the result of taking more a substance to keep up with one’s ever harder to appease tolerance. The longer the condition is left untreated, the greater the risk of a potentially fatal overdose. Our comprehensive prescription drug rehab program can help you begin the life changing recovery process.